Low End Theory: The Next China? My wife is a lingerie designer (seriously), and thus makes semi-frequent trips to China's Guangdong Province to oversee sample production. Upon her last return, she made a bold pronouncement: the Middle Kingdom's days as the world's chief producer of affordable ladies' undergarments are numbered. Lingerie companies are already finding it cheaper to deal with factories in Bangladesh, Cambodia, and other nations with a dearth of modern skyscrapers. Her learned observation got me thinking: will China's reign atop the low-end electronics heap soon end as well? After all, the natural cycle in gadget production has been for a country to start out as a purveyor of discount knock-offs, then gradually reinvent itself as a premium supplier. We're all probably too young to remember this, but "Made in Tokyo" was a sign of inferior quality circa 1950. And weren't LG and Samsung considered cheaper alternatives to Japanese goods just a generation (or less) ago? You can already see what might be the first stirrings of China's maturation—the transformation of Lenovo into an IBM-buying global brand, for example, or the efforts of Japanese companies like Matsushita Electric to move high-end manufacturing operations to Shanghai. I'm not saying that the flood of cheap MP3 players from Shenzhen is gonna stop in the next twelve months, but maybe it's time to start asking: when it comes to low-end gadgets, what's the next China? Oddsmaking after the jump. PLUS: The Van Morrison riddle resolved, and Low End Theory goes on hiatus—in the jungle. The obvious prerequisites for a successful low-end electronics industry are political will, stability (even, alas, of the odious authoritarian variety), and a low-wage workforce. China offers all three, at least in the regions especially set aside to interact with foreign economic interests. The cycle starts out with established foreign manufacturers either showing an interest in contract factories, or actually establishing their own industrial operations to handle low-level products. 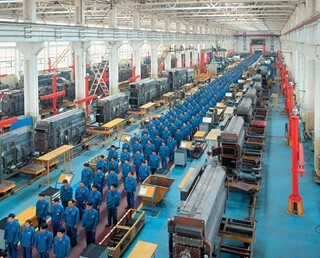 Local managers are thus mentored on the details of technical production and international trade; they soon split off to form their own contract factories, and the deluge of cheap watches and whatnot begins in earnest. India (3-to-1) The obvious candidate, though the political will might be lacking—having already conquered the programming and call-center worlds, does going the cheapo manufacturing route make sense? Perhaps in one of the nation's less economically developed provinces, as part of a concerted top-down effort to attract even more foreign investment. Vietnam (5-to-1) A huge population (over 83 million), a government akin to China's, and seemingly more than a passing interest in pursuing a "to get rich is glorious" economic makeover. Indonesia (10-to-1) Archipelagos are bound to seem chaotic at times, and Jakarta can be a mindbender. But democracy is taking root, and the proximity to Kuala Lumpur and Singapore has to count for something. Already has some solid domestic brands. Turkey (50-to-1) Like India, already established in affiliated industries. Also, a lot of government-trained talent thanks to military programs. So why the longer odds? In a word, bureaucracy—will have to curtail the hoop-jumping faced by foreign investors, in a much more aggressive manner than just establishing some "technology parks". An important disclaimer: I'm an expert on being a skinflint, not international business, so my gut instincts here could be way off. Please, no angry e-mails from Bangladeshi programmers or Turkish product designers explaining why their country is about to become the Japan of the 21st century. Civil arguments in comments much preferred, thanks. A last point, though: perhaps the successor to China will be China itself, albeit a different part. Guangdong got first crack thanks to its proximity to Hong Kong, and special rules designed to encourage foreign involvement. Once Shenzhen is played out, could the Chinese government simply move the low-end playing field to, say, Fujian of (gulp!) Yunnan? In other words, will the Sungale of tomorrow simply churn out its products in a different province? 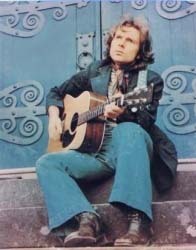 FINAL WORD ON VAN MORRISON: Thanks to a couple of very dedicated Van Morrison fans, I've finally been able to resolve the controversy over the lyrics to "Brown-Eyed Girl". A JPEG of the original sheet music was forwarded to me, and the lyric is, indeed, "the old mine," not "the old man." I was almost convinced by one reader's suggestion that Van was simply butchering the pronunciation of "Ormeau", a main Belfast road. But the hard evidence is clear on this one: Van and his lady (supposedly Janet Planet) were listening to a transistor radio in some quarry somewhere (most likely California). TO THE JUNGLE: No Low End Theory for the next two weeks, I'm afraid. I'm currently in Delhi, first stop en route to the Indo-Burmese jungle, where I'll be researching my forthcoming book. (It's slated to come out from The Penguin Press in 2008—start saving up now!) Won't be checking e-mail from the road, so best to leave anything germane in comments. And if I have any readers in Dibrugarh, hey, let's grab a beer while I'm over there. Otherwise, see y'all again on December 7th. Until then, keep it cheap.